A botanical is a plant or plant-part valued for its medicinal or therapeutic properties, flavor, and/or scent. Products made from botanicals and used to maintain or improve health may be called herbal products, botanical products, or phytomedicines. We choose only the finest, most appropriate botanical extracts when formulating each blend. We choose each extract for its unique qualities and for the synergistic effect it provides to each results-oriented blend. We formulated our Botanical Synergy Serums to target the specific skin tissue responsible for correcting the undesirable skin condition. We prepare every individual extract using a “cold process” to preserve the activity of each ingredient within the extract, which In turn, strengthens the activity level of the resulting synergistic blend. 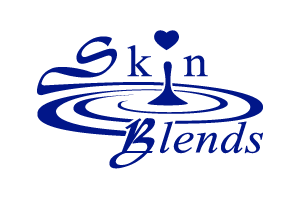 You can layer Skin Blends serums on your skin and use them as part of your daily skin regimen. Botanical extracts are never sticky and your skin quickly absorbs our Botanical Synergy Serums to instantly hydrate your skin, Because our serums are oil-free, they’re ideal for every skin including acne-prone and rosacea. They’re extremely beneficial when layered on your skin before you mask.